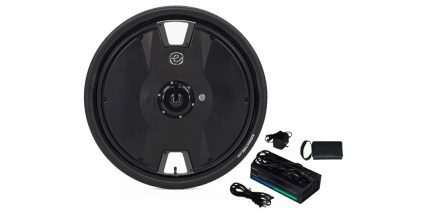 Engineered by Belon Engineering in California & Taiwan, the Electron Wheel is a product of years of engineering and innovation that seeks to simplify and improve the way riders move around their environment. Electron Wheel is an all-in-one solution for converting your traditional bicycle into an electric bike. Loaded with impressive tech, the Electron Wheel contains a powerful motor, smart sensors and an efficient battery to transform the utility and enjoyment of your existing bicycle.